Scaling Red Rover without scaling the team requires creative use of various tools to keep everyone aligned. Our individual calenders used to need a full time position just to coordinate, but with the addition of the two tools described below, we're all easily kept up to date. Syncs iCal with Google Calendar both ways and lets you share/edit between multiple computers. iCal is nice if you're just one person. With a team you need the sharing abilities of Google Calendar. It's annoying, however, to have to always go to Google Calendar to make calendar edits. BusySync lets me edit anyone's Google Calendar right from my desktop with iCal and changes are instantly synced across the team. Syncs iCal to a public calendar that allows third party people to view and schedule appointments with you. 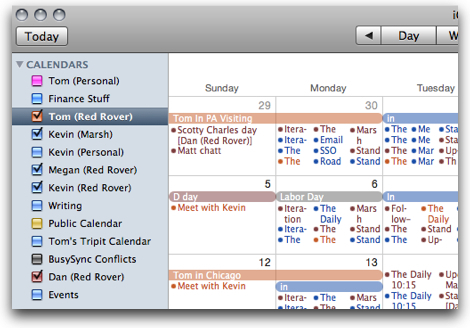 While BusySync makes team calendar collaboration really easy, Tungle allows third party people calendar collaboration. Through a personal link, people can view my open and busy times and request a meeting. And because it syncs back to iCal which syncs back to Google Calendar, now the rest of the team will also know I'm busy. 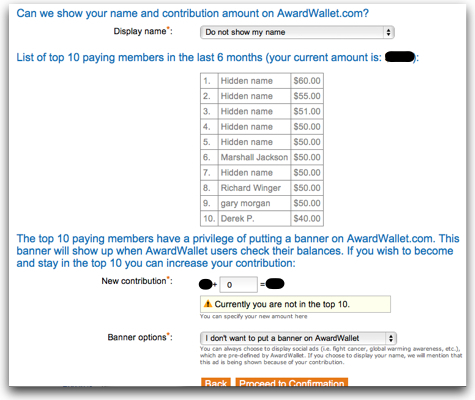 In May 2009 I wrote a post on how to turn Twitter into a free SMS alert system for your campus. Back then, the major hang up was people had to have a Twitter account for it to work. With student adoption of Twitter hovering pretty low at colleges, this was a problem. Last week Twitter recognized the issue and introduced an updated tool called Fast Follow. "The mobile team here at Twitter has rolled out a new feature called Fast Follow, and its genius lies in its simplicity: text “follow [account]” to 40404 (Twitter’s U.S. shortcode) and you’ll immediately start getting that account’s tweets via SMS—without ever signing up for Twitter." Eric Stoller, writer for Inside Higher Ed, reported on Fast Follow and how it could be integrated into the campus culture. "You could place your school's admissions Twitter account name and the Twitter SMS number on your marketing collateral. A school could even have multiple Twitter accounts that could then be included on strategic mailings or promotional microsites. Campaign tracking would be a snap! Prospective students do not have to be on Twitter to use Fast Follow." 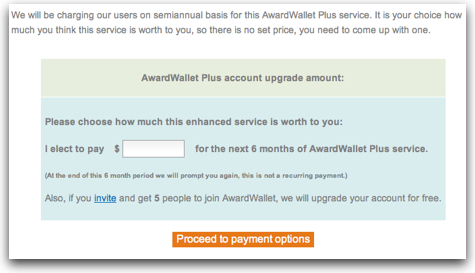 Enterprise SMS tools will have a hard time justifying large price tags when competing against...free. I suspect an advantage they will have is back end assessment data. Though, knowing Twitter's history of openness, might be provided by a third party tool soon. Curious to know if anyone has tried mass, or even departmental adoption of Fast Follow at their campus? While most of the site's functions can be done in Excel if you know the formula, it's not nearly as easy, nor fun as The Alphabetizer. As the site says, "Now in Ridiculously Web 2.0 Style!" How can that not be fun?